Spaghetti Dinner for Habitat for Humanity will be held in the Church House, April 29, 2018 from 5:00-7:00PM. If you would like to make donations, help cook, and serve the meal, see Ellen Hampton. Spaghetti supper - A Spaghetti supper to benefit Habitat for Humanity will be held in the Church House, March 26, 2017 from 5:00-7:00PM. If you would like to make donations, help cook, and serve the meal, see Ellen Hampton. Results of March 26 Spaghetti supper - Thank you everyone who helped in the kitchen to prepare, cook, and serve the spaghetti supper. Also, a big thank you to everyone who donated food. We couldn’t have raised money for Habitat For Humanity of York without your help. Total donation made to Habitat of York April 9 was $500.00. Thank you all for your support towards this worthy cause. Spaghetti Supper - The Outreach Committee will be sponsoring a Spaghetti supper on April 24, 2016 from 5:00-7:00PM in the Church House. We will be asking for donations and for help to make and serve the meal. If you would like to donate something, please contact Ellen Hampton 432-3732 or Jan Keslar 292-2295. All proceeds from the Spaghetti supper will be going to Habitat for Humanity. Spaghetti Supper - April 24, 2016 - Results, from Spaghetti Dinner and May 1 donation collection during worship, were $555.00 for Habitat for Humanity. A representative from Habitat was at the dinner to speak about their program and answer questions. Thank you everyone for your generosity. See photos taken at dinner; thank you, Pam, for taking the pictures. Spaghetti Supper - Once again, the Outreach Committee will be sponsoring a Spaghetti supper on April 26, 2015 from 5:00-7:00PM in the Church House. We will be asking for donations and for help to make and serve the meal. If you would like to donate something, please contact Ellen Hampton 432-3732 or Jan Keslar 292-2295. All proceeds from the Spaghetti supper will be going to Habitat for Humanity. 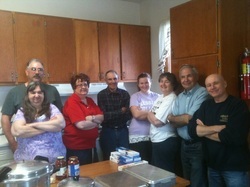 Thank you to all who helped in any way with the spaghetti supper. It was a big success with 45 people attending. We were able to send $400.00 to Habitat For Humanity. Thanks again!! 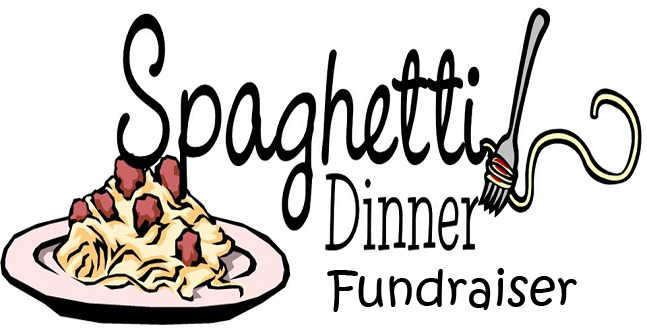 Spaghetti Supper - Once again, the Outreach Committee will be sponsoring a Spaghetti supper on March 30, 2014 from 5:00-7:00PM in the Church House. We will be asking for donations and for help to make and serve the meal. If you would like to donate something, please contact Ellen Hampton 432-3732 or Jan Keslar 292-2295. All proceeds from the Spaghetti supper will be going to Habitat for Humanity. SPAGHETTI SUPPER – The Outreach Committee sponsored a Spaghetti supper on April 14, 2013 from 5:00-7:00PM in the Church House. All proceeds from the Spaghetti supper went to Habitat for Humanity.